A beautifully traditional Balasani 520mm wide square inset vanity basin from Silverdale Bathrooms. 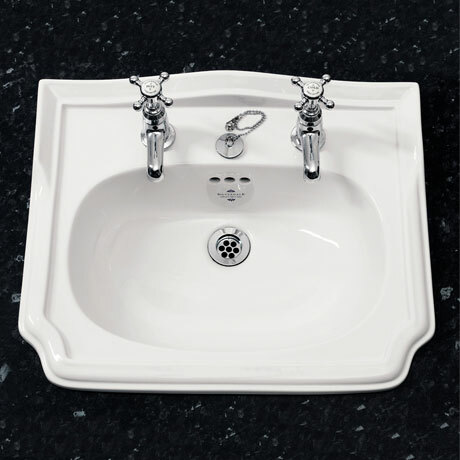 This stylish elegant inset basin has been designed to be mounted into a worktop or piece of vanity furniture and features a subtle reduced sized splash-back. Each individual piece of sanitary ware has been carefully considered in its design, being based on authentic original pieces and lovingly re-created.